Count me in this sounds fun! Pm incoming! Oh yes.... I've been waiting for this! POS? why, that's my middle name. I'm in..
Let me add my 2 cents about the POS Roundtable. The roundtables in the past that I have participated in have been a lot of fun. The 1st time or two I probably didn't really understand as well as I do now. When given a name, I've found it helpful to search that participants posts and maybe be able to learn a little bit more about them so that if possible the contribution or a part of it might be in some way relevant to them. Reviewing the POS rountables from the past seem helpful at times and they are always interesting reading. Again it's always fun to participate and enjoy this event. This roundtable is nothing if not interesting. One year I received a single knife that was in the spirit of the P.O.S. Roundtable. One year I received several that were in the spirit or the P.O.S. Roundtable. Another year, I received several knives which included more than one that were really nice knives and the rest were trade bait for the next Roundtable. Then there was one year where NONE fit the name of the Roundtable. This Roundtable is always fun and always an adventure. I'm in PM coming, thanks for doing this!! I have a bunch of POS in a bag of cheese cloth that's been sitting in the septic tank for about a year now. Should be just about ready! Eustace wrote: Given that I am on the other side of the world , can I participate in this great event? Eustace if you wish to participate please do. If the additional shipping cost is too much for whomever draws your name, I will help them out with the expense. Depending on weight of course, it runs around $12 - $14 or so. Or did before they raised the postal rates again. Phil ,thanks for taking on this chore it is an AAPK tradition and surely you will be rewarded in some form or fashion. I would also like to be included again this year. I do not think it is right you have to pay shipping costs. Let's do that - the person who draw my name decides on her own. I will not be offended if someone does not send me anything. 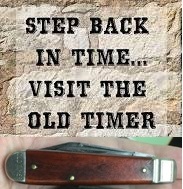 HEY, I could go for a load of Bulgarian pocket knives! If I get your name I will send. Receiving Bulgarian knive would be quite interesting. If I would get Eustace name I would be more than happy to pay whatever the shipping cost.